It's been awhile since I've shared books I've been reading. And as a person who always loves recommendations I love to suggest books for other people to read. I'm sure most have heard of this book. 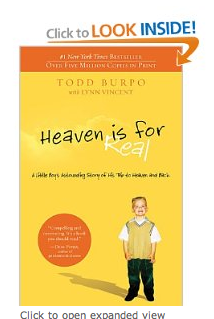 It's about a little boy who is very sick and has a heavenly experience. First of all, as a mom this book was so hard to read. This sweet little boy was so sick, and there was nothing they could do about it. That part was just so hard and gut-wrenching for me to read. My verdict is still out on whether I believe all of it to be true. I am by no means saying that I think the author made it up, I just wonder how much the boy could remember or stuff like that. Regardless it was a good, easy and quick read. And it got me thinking for sure. I love Angie Smith. I have now had the privilege to hear her speak live twice and I love her even more. I've always been a fan of her blog and read her first book about her pregnancy with her daughter Audrey. This book, What Women Fear, was perfect for me. I have ALWAYS struggled with fear. I'm at the point in my life where I can make jokes about my fears and taking pills and therapy and all that, but it is all very real and something I have to give to the Lord continuously. 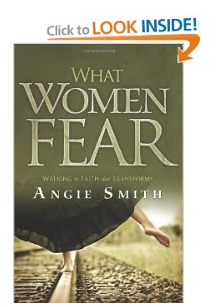 I took away some awesome points from this book and just overall enjoyed the teaching of Angie. Oh how I love Andy Cohen. I am a fan of the Real Housewives of ANYWHERE franchise and Andy Cohen is the "mastermind" if you will behind it all. I expected his book to be hilarious and it did NOT disappoint. Andy is a very funny man and writes just like he talks. I wanted to read this book because I was interested in his background and how he got to where he is. I knew he had a background in journalism at CBS and had a strong presence during the OKC bombing and I wanted to hear his take on everything. It was very interesting to me. Keep in mind this book is full of inappropriate language and some inappropriate topics, but it was a funny read and I liked learning about Andy and his background. I think I've said once (or a million times) that I love the Big Mama blog and Melanie is one of my most favorite bloggers ever. I would venture to say that she IS my most favorite blogger ever and I want to be her BFF but that would make me sound a bit creepy and fan girl'ish so I won't say that, instead I will say go read this book. Now. You will thank me later. 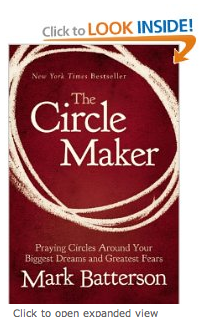 This book is about prayer, and I can honestly say it has changed my life. It has changed the way I pray, the way I view prayer, the way I think about prayer. I have pretty much recommended this book to anybody and everybody I have come into contact with since starting it. I could probably write a whole book based off of what I've read in this book and how it has effected my life so far. This series is amazing. Francine Rivers is a christian fiction author, and is the author of a very popular book Redeeming Love. My grandma gave me the Mark of the Lion series several years ago and has asked me many times if I had chance to read it yet. Finally this year I picked it up and finished the series in about short amount of time. VERY short amount of time. And as soon as I was done I wanted to pick it up and read it again. I wasn't yet ready to let the character go. If you are looking for a good fiction read go find this series and start it. A little disclaimer: the first part of the first book is sloow and a little bit hard to follow BUT it sets you up for the most wonderful story of all time. Eh. 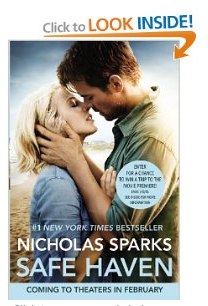 Typical Nicholas Sparks book. Not a book I would read again OR recommend. Plus the ending was just PLAIN WEIRD. Karen Kingsbury is another Christian fiction author whom I love. I read her series the Redemption series several years ago and this is the final book in that series. I had been looking forward to this book for awhile and was excited to sit down and finally read it. I was not expecting to BAWL my way through the book. If you haven't read the Redemption series do yourself a favor and read it. And then if you feel like crying so much that your entire face is puffy and you aren't sure you want to continue on with life then read this final book. So there are some books I've read recently. I'm reading a couple more right now and I will blog about them when I'm done. Or 8 months later, that seems to be how I do things around here. Anybody have any good books to recommend? Clearly I read books of all genres so I'm game for anything! So many of these are on my list of what I want to read next. I have the Circle Maker downloaded. You're the second person I've heard rave about it. I need to try the Francine Rivers books and I need to give the Baxters one more try. Have you read anything by Jennifer Weiner? Right now I'm reading "Little Earthquakes". I love it. I want to read Andy's book too - I think he is just AWESOME!!! Do you like 'beach read' type books? I have been reading a lot of Elin Hilderbrand's stuff and I like just about all of them! Have you read Angie's third book, Mended? I haven't read it, but have read the previous two and I just loveeeee her!! 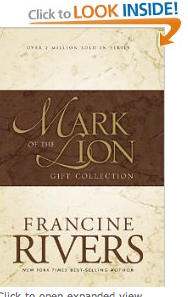 I've read almost all the books that you recommended; I'll definitely look into picking up Francine River's series. I would recommend Praying Circles Around Your Children as well as Not a Fan. 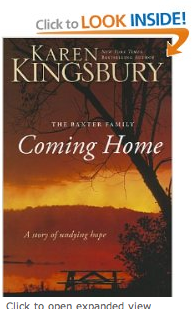 Kingsbury's Redemption series is amazing! I think I bawled all the way through it! I even knew that things were going to be ok in some instances because I read the Bailey Flanigan series first and I was bawling! Coming Home really got me because I was shocked at what happened. Sadly I caught wind of it before I read the book because I was looking for other information in the book and discovered what was going to happen. One of my favorite series sets of all time. I have read so many of these! Atonement Child by Francine Rivers is amazing too, and actually the first book of her's that I ever read. 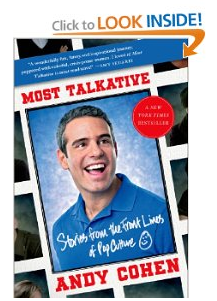 I loved Andy Cohen's book as well. :) I'm currently reading "Happier At Home" and so far so good. Kristin Hannah is one of my favorite authors. Firefly Lane is my favorite book I have read as an adult. But I love interpersonal communication and relationship types of books. It is about bffs and how their relationship stands through decades. A sequel is coming soon! Yay! Ok, so I read the Mark of the Lion series when I was about 12 (or whenever they came out) and LOVED them. Pretty sure I've read them at least 3 or 4 times. May need to search through the attic for some summer reading! 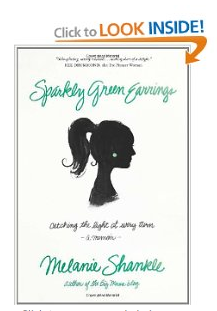 I love Melanie from Big Mama too, but how did I not know she wrote a book?? She's flipping hilarious. Oh and PS, I have loved Kate Morton's books. The Forgotten Garden was her first. Such good stories, mysteries, characters. Highly recommend!